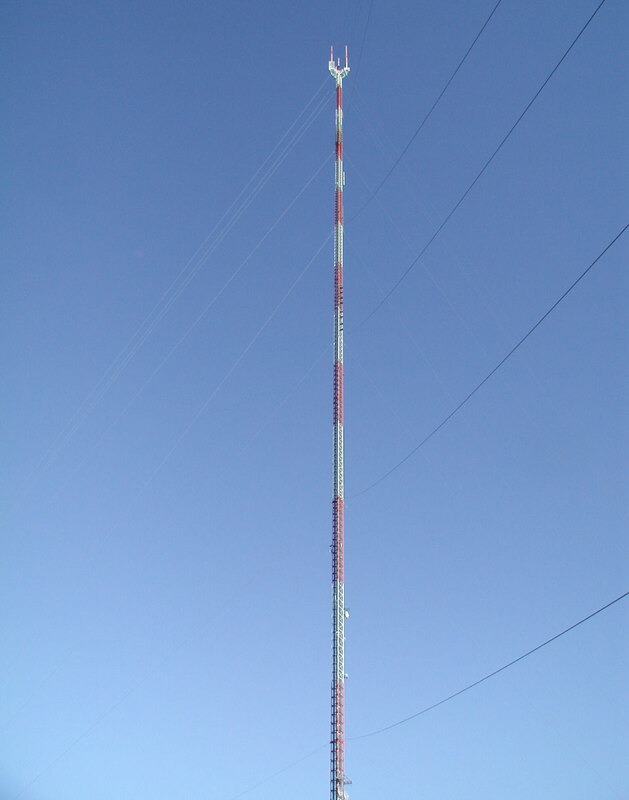 Guyed mast for FM/TV-broadcasting, built in 1999 on the corner of North Kelly Avenue and Northeast 122nd Street in Northeast Oklahoma City. 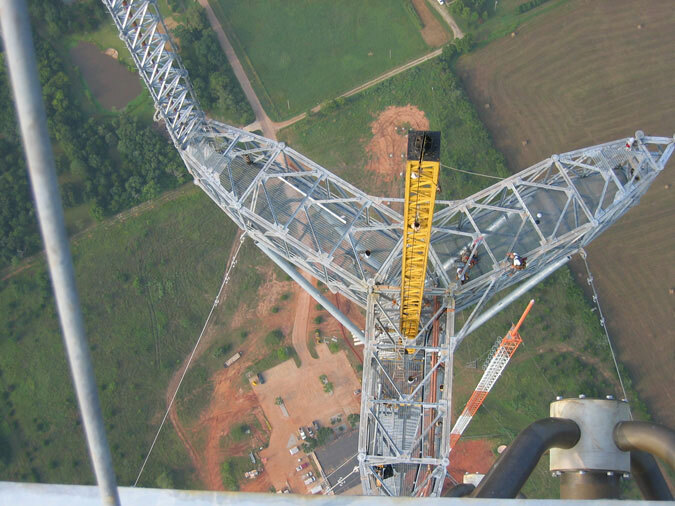 Candelabra branching design at top to accommodate more antennas. 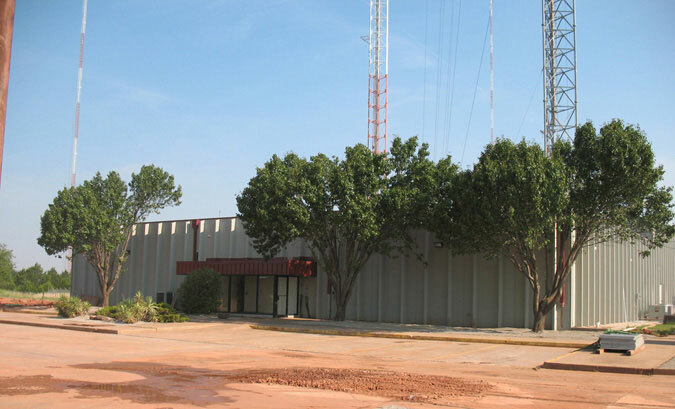 Guyed mast for FM/TV-broadcasting, at Northeast 1501 NE 85th Street in Northeast Oklahoma City. 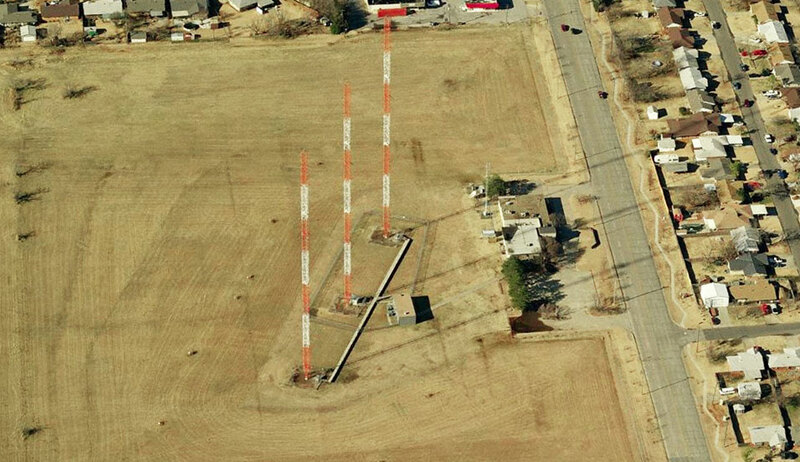 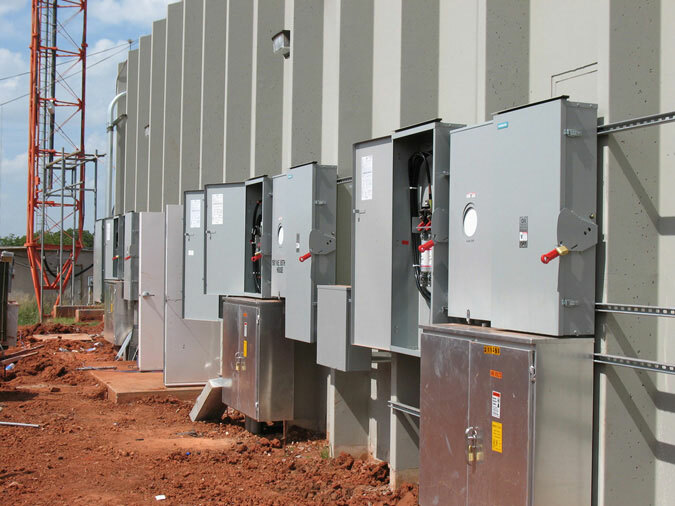 Transmitter towers for KOKC-AM 1520 kHz (formerly KOMA) at 820 SW 4th Street in Moore, south of Oklahoma City. 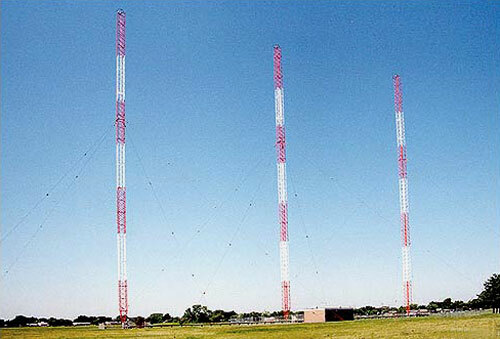 The towers were built in 1948 and began transmitting AM radio waves the following year. 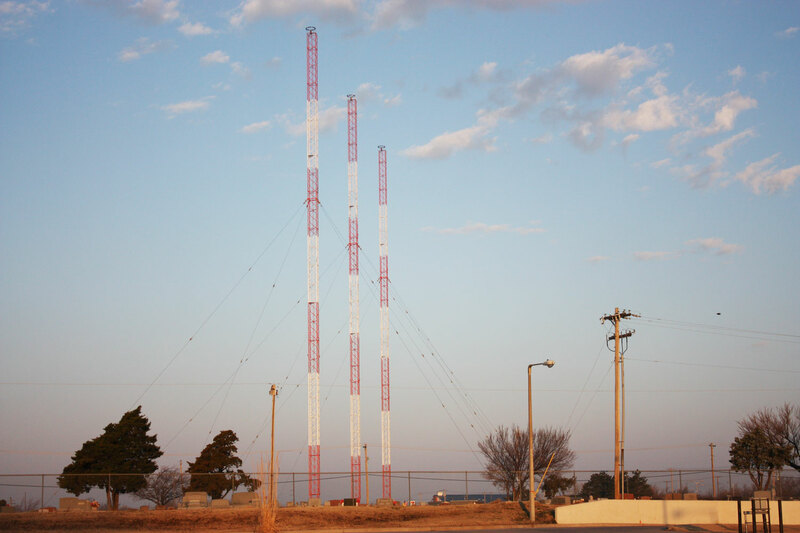 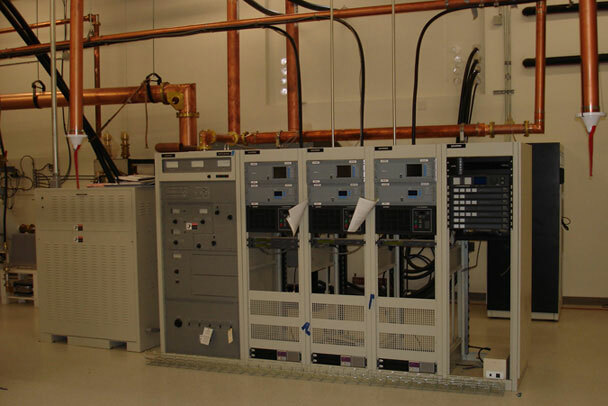 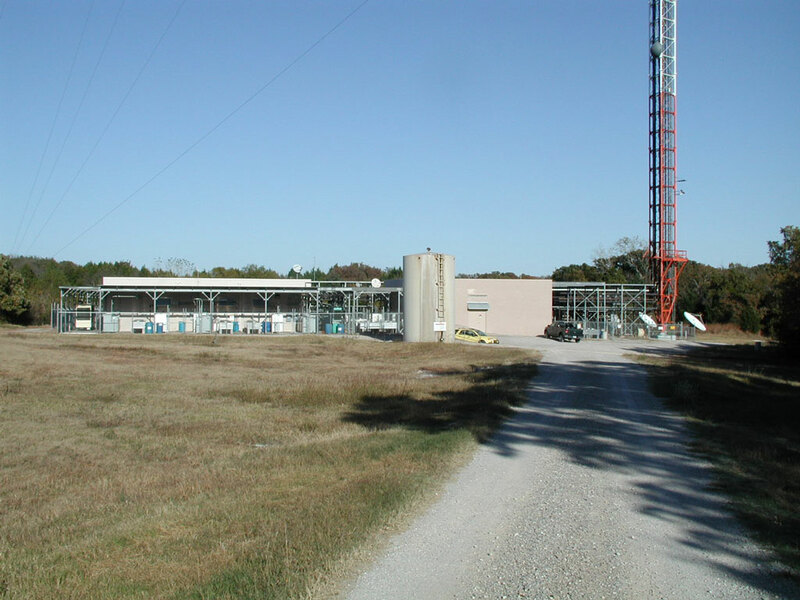 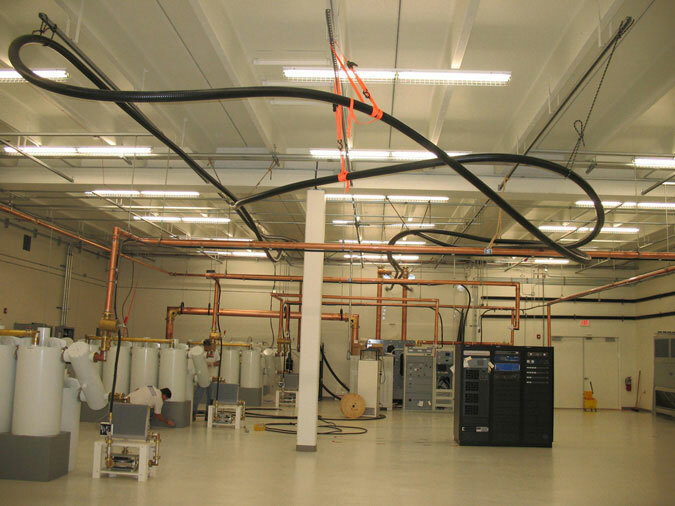 The station's studios are in North Oklahoma City and their audio is transmitted to these towers and transmitter via a studio to transmission link (STL) using microwave. 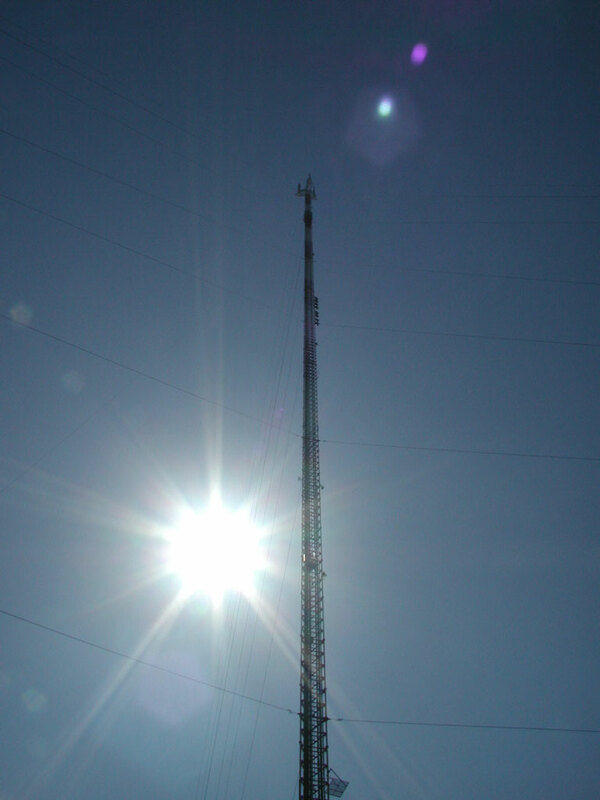 Station uses a single tower for a non-directional pattern daytime, all three towers for a directional pattern at night. 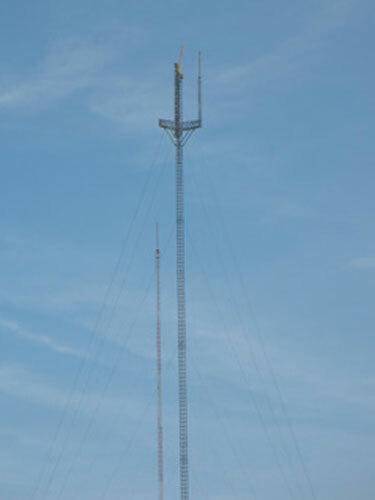 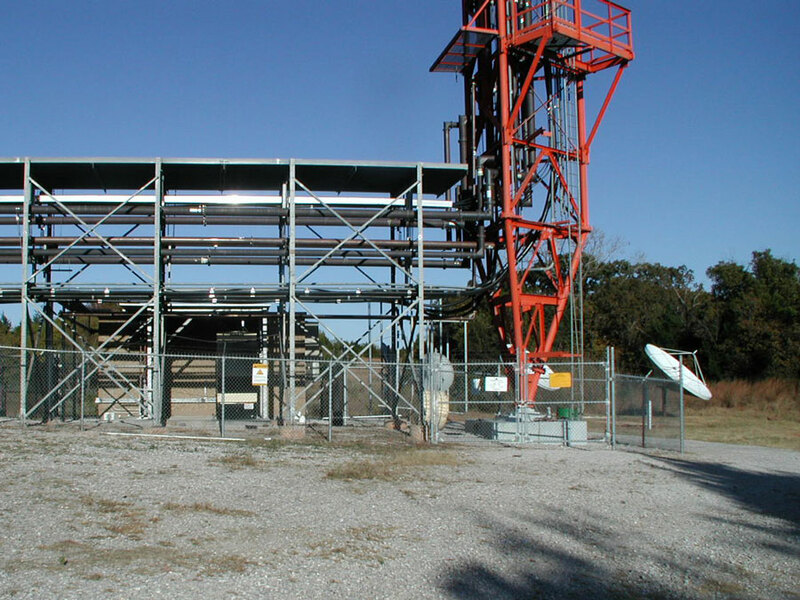 These three towers are an amazing source for a powerful 50,000 watt signal and their signal can be heard well over 1,000 miles away. 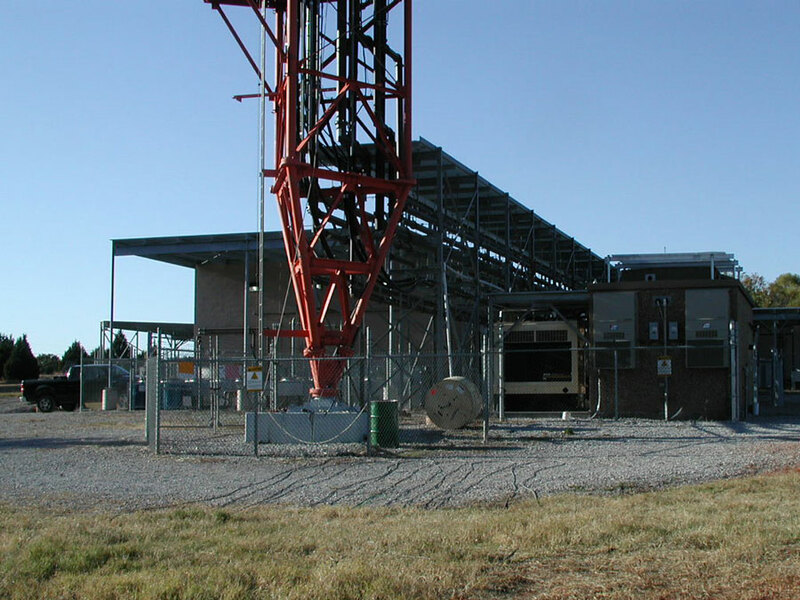 In March 2015, a tornado destroyed two of the towers and broke the third tower in half. 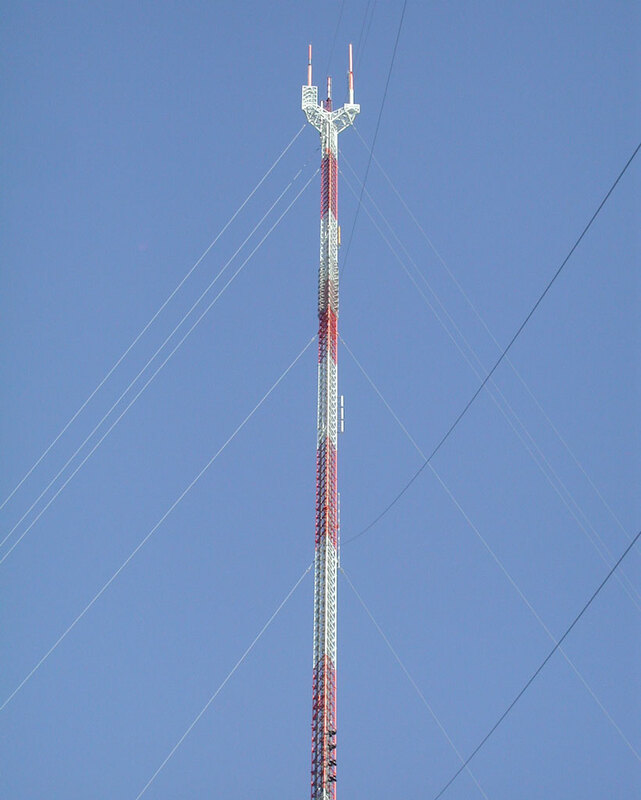 An emergency 190-foot tower was erected, allowing ste station to broadcast at 10,000 watts.